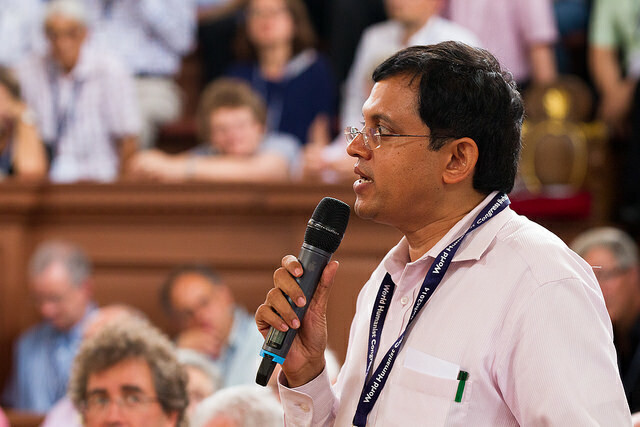 Babu Gogineni was appointed Executive Director of the International Humanist and Ethical Union (IHEU) in 1997. As the headquarters moved from Utrecht in the Netherlands to London in the UK, Gogineni oversaw a period of growth and change for the organization, taking the IHEU into the new millennium with a renewed internationalist focus. During these years, the IHEU gained Special Consultative status at the UN, developed an evolving, consolidated appreciation of Humanism based on a core “Minimum Statement” incorporated into IHEU’s bylaws, and accelerated the growth and development of the IHEU outside Europe, bringing onboard many new Member Organizations. He later returned to his home country of India, retained by IHEU with the new title of International Director with a focus on India and the Southern Asia region. A recurring focus of Gogineni’s campaigns work with IHEU — a cause which IHEU has enthusiastically championed as an issue of fundamental human rights and dignity — was combating caste discrimination, a social menace enforced by tradition, religion and superstition. In 2009 Gogineni oversaw under the auspices of IHEU the first “World Conference on Untouchability” in London. With IHEU, Gogineni has fought superstition, campaigned on the value of secularism in India, led IHEU’s contribution to the campaign for exiled Bangladeshi humanist Taslima Nasreen, and endeavored to promote the IHEU and advance our campaigns in mainstream media. Recently, in a personal capacity, Gogineni has been fronting the Telugu-language TV program, The Big Question, on science and society from a humanist perspective. “For IHEU’s fiftieth anniversary in 2002, Babu wrote, ‘We need a renewal and a rejuvenation. For that, we need to identify the most pressing problems of the world—and as groups of concerned individuals , we need to apply Humanism’s liberating principles to the solution of these problems or to set the direction for new changes.’ Certainly this ongoing process is what we have been engaged in collectively. Babu leaves his post in India at a time when the country is very well-represented in our global community, with no less than twelve IHEU Member Organizations on the sub-continent. 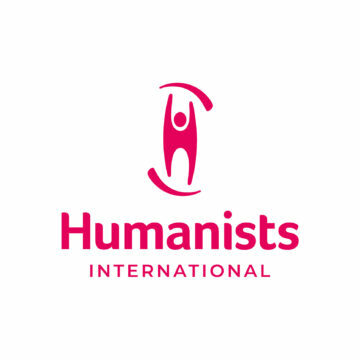 “Meanwhile, the IHEU Executive Committee has been reconfiguring our work, staff and representatives, and through the head office in London we have continued to grow our membership, World Humanist Congress in 2014 was the biggest and most diverse ever, there are new campaigns, new publications, and a renewed representation at the United Nations. The challenge is not to rest on our laurels, to see renewal as a constant process, and this is one of the greatest lessons which Babu has impressed on our global union through his inventiveness and his personal dynamism.